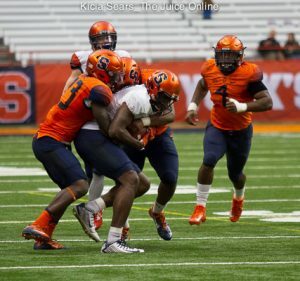 Saturday morning, Syracuse showed the fruits of their labor in spring practice at the Carrier Dome in their Spring Showcase. Actually, instead of fruits, what the Orange showed was more like a few tiny grapes and an overripe strawberry left on a picked over fruit tray. 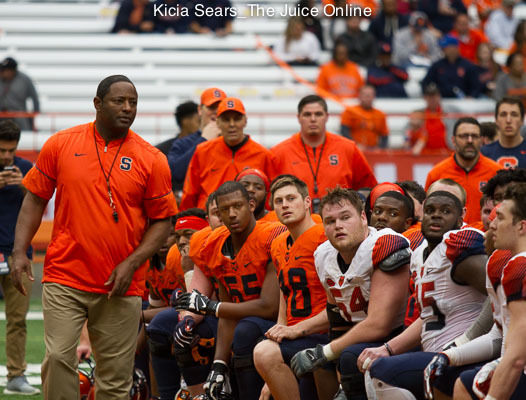 With Dino Babers calling the shots, the team showed very little and that choice to barely tip his hand is undoubtedly his doing. In fact, calling the display “vanilla” is an overstatement. What is the absence of flavor? After the competition was complete, Babers admitted they wanted to run 75 plays, which pretty closely jives with what appears in the official stats. Both the coach and linebacker Zaire Franklin fessed up that the real work of the spring was done about a mile south-southeast of the Carrier Dome in the preceding 14 physical practices at the Ensley Center and that Saturday was more for the fans than the team. So, what the fans got was in sharp contrast to last year’s spring display. 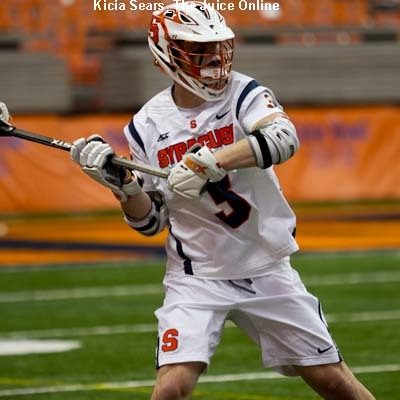 With Babers and his high-powered offensive scheme new to SU, last April’s display was different in structure and massively different in results. The offense ran 155 plays in various scenarios and rolled up 13 scores, a suggestion to the fans that things were going to be changing soon. And with the offense being established last season, this time around, there were fewer than half the snaps and a whole one offensive touchdown. So, there was not much to see at this year’s event. Unless you knew where to look. The “running” clock didn’t run at the start of the contest, eventually being adjusted to be near the middle of the first quarter. It did not update the listed down-and-distance of 4th-and-22 for a couple minutes after that. 22 is half of 44. Hmmmmmm. Later in the first, Antwan Cordy intercepted a pass, which he returned to the two-yard-line. But, Cole Murphy came on to boot the ball through the uprights and the scoreboard gave the Orange Team three points. For a coach who likes to put pressure on the opponent, taking a field goal on first down sure seems weird, especially early in the game. After a quiet first quarter, the public address announcer kicked in during the second quarter. What were they hiding in the first quarter?!?!? And the second quarter saw more strange things with the scoreboard. Suddenly, it flipped to 7-0 in favor of the Orange Team, suggesting Cordy was given a touchdown and Murphy’s kick was actually an extra point. After that, the White Team started moving the chains with a list of names that were clearly fake: K.K. Hahn sounds more like a science fiction novelist than a wide receiver. Otto Zaccardo? Someone named “Otto” at Syracuse? Please. And Jesse Conners breaking free for a big reception? That’s more teen heartthrob than tight end. If you thought Babers settling for a chip shot field goal on first down earlier in the game was weird, the Orange Team took over possession with just over a minute left in the second only to have the Eric Dungey hand off three times to kill the clock. There is no rational explanation for that degree of madness. Eric Dungey connected on a deep pass down the left sideline with Devin Butler for a touchdown, beating Devin Butler for the score. Uh huh. Sure. Two guys with the same name on the same play? Sure. And, magically, as soon as the Orange Team (the starters) had a comfortable 14-0 lead, six more minutes appeared on the scoreboard. 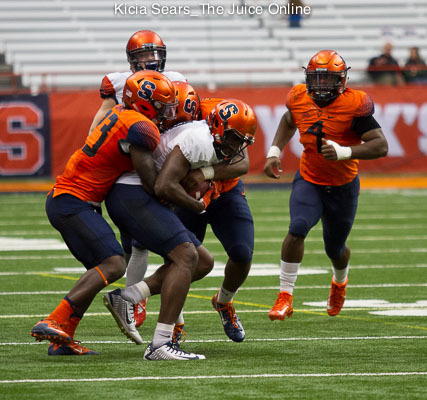 So, the Syracuse football team thought they didn’t show that much at the “Spring Showcase”.